We need time to organize before the festival! Email [email protected] with any questions. Thank you. 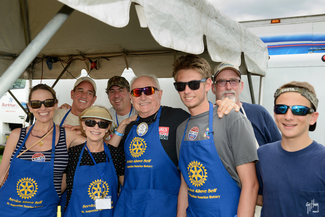 Rotarians - Stock the booths, install fencing, signs & banners, set up Rotary Tent, VIP and Volunteer areas. Fun day of PHYSICAL work, team building & fellowship! Coordinate and direct setup, food, drinks and cleanup. Collect People's Choice Votes for Best BBQ as guests leave. Collect People's Choice Votes for Best BBQ inside Dining Tent and Outdise Dining Area. Our Cleanup Crews keep grounds and dining area clean. 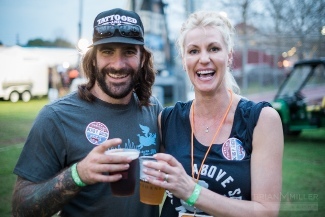 Festival guests consistently praise the cleanliness of our festival! Thanks to our exceptional volunteers for this effort! R.I.C. 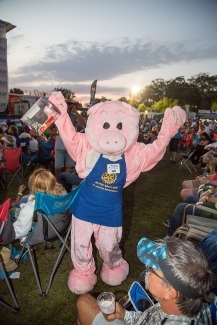 (Rotarian-In-Charge) *ROTARIAN ONLY* Must be able to change a keg, manage tent operations, and handle cash with proficiency!